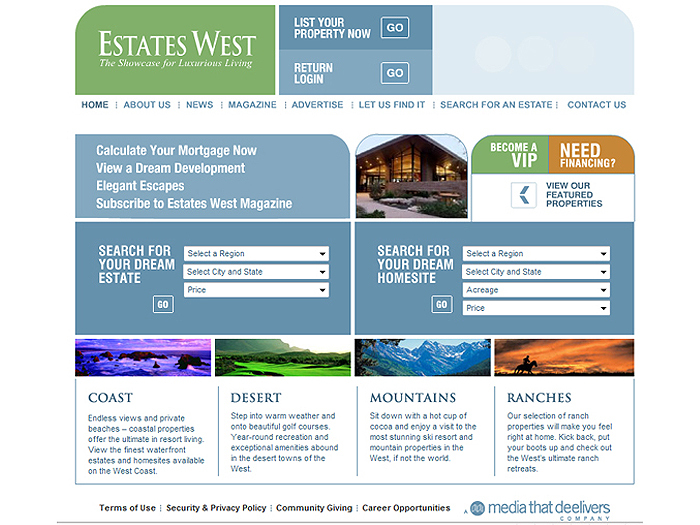 We created the frontend and the backend of this site. 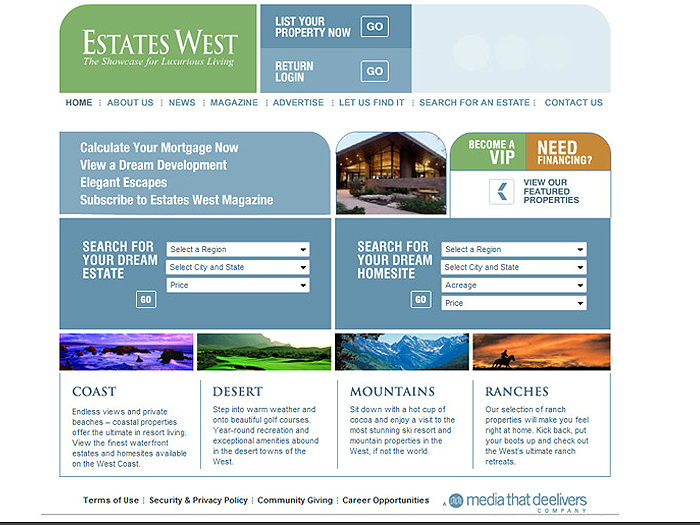 This website was to showcase properties that are available to purchase. 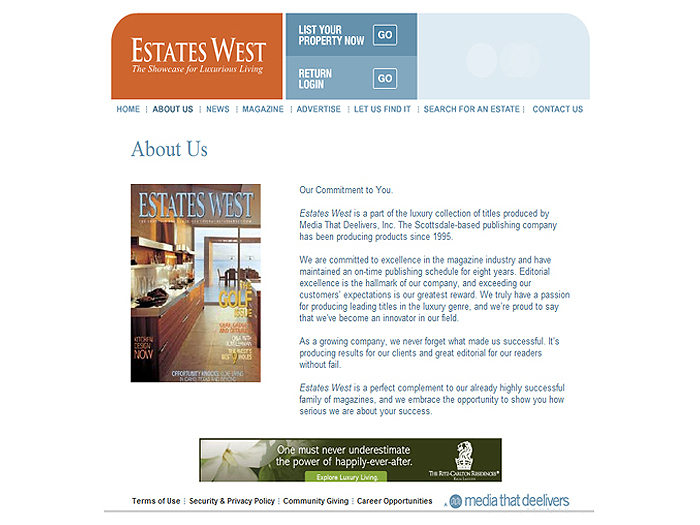 The site was also created to be an extension to the Estates West Magazine that is distributed throughout most of the US.